Whilst Scotland decides, why not decide on Scotland for your next trip? Scotland has been in the news a lot recently, with all this referendum business. So we thought we would talk about why we love Scotland, whether it’s part of the United Kingdom or not. Apparently, Scotland’s tourism board VisitScotland experienced a huge increase in holiday-makers following the release of Disney’s Brave in 2012, and also more recently, with the hosting of the Commonwealth Games this summer. The hype really is justified, Scotland may be small but it is crammed with treasures – we give 5 reasons why you ought to visit this mythical country. You can’t get Haggis anywhere else. Haggis: a savoury pudding containing sheep’s pluck (heart, liver and lungs), onion, oatmeal, suet and spices. Not to everyone’s taste, but certainly an experience. Outstanding natural beauty – hike to your heart’s content over mountains, moors and around deep lakes. The weather might not be great, but embrace that misty, moody atmosphere and pretend you’re a brooding character from Wuthering Heights. The Scots do a cracking New Year’s Eve – they call it Hogmanay, and it involves huge street parties, traditional ceilidh dances, and belting renditions of Auld Lang Syne. Trust us, it’s better than just sitting at home and watching Jools Holland until you fall asleep on the sofa. Edinburgh is fit to burst with culture and history – if you have never been to the capital’s Fringe Festival you really, really must. Each August there are thousands of shows to see at over 500 venues across the city, so there is something for everyone’s tastes from A Capella singing groups to stand-up comedy. You could spend a fortune on shows, but you can just as easily do the Fringe on a budget with hundreds of free performances on offer – you might even discover the next big name in showbiz. Sport – Scotland is known as the ancestral home of Golf so as might be expected, it’s a golfers’ paradise. But Scotland is also a playground for all sorts of extreme sports. Head north to Thurso and you’ll find a coastline that would make any surfer or windsurfer froth at the mouth. 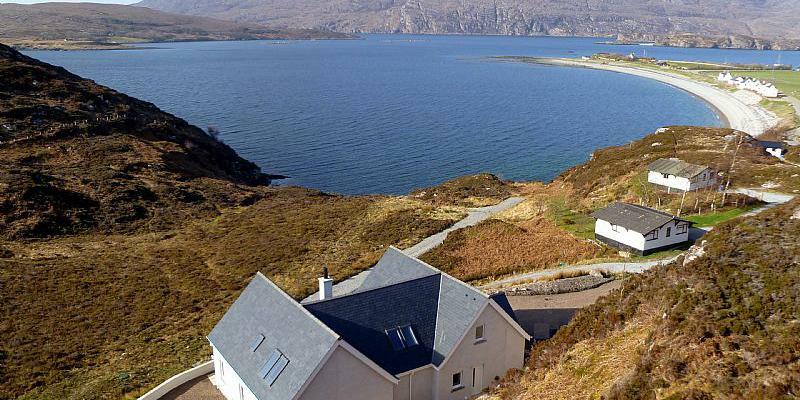 See our holiday houses in Scotland.